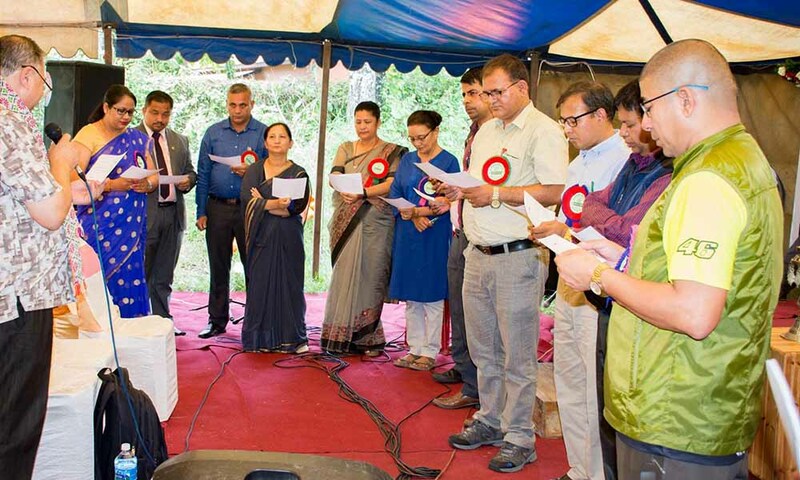 INF Nepal’s 27th Annual General Meeting [AGM] held on 27 September 2018 at Green Pastures Complex, Pokhara. It was encouraging to see this meeting well attended by board members, life members, general members and INF staff. Rajendra Kumar Adhikari [Vice Chairperson of INF Nepal Board] welcomed the participants and Krishna Adhikari [Executive Director of INF Nepal] gave a brief overview of the organisation. 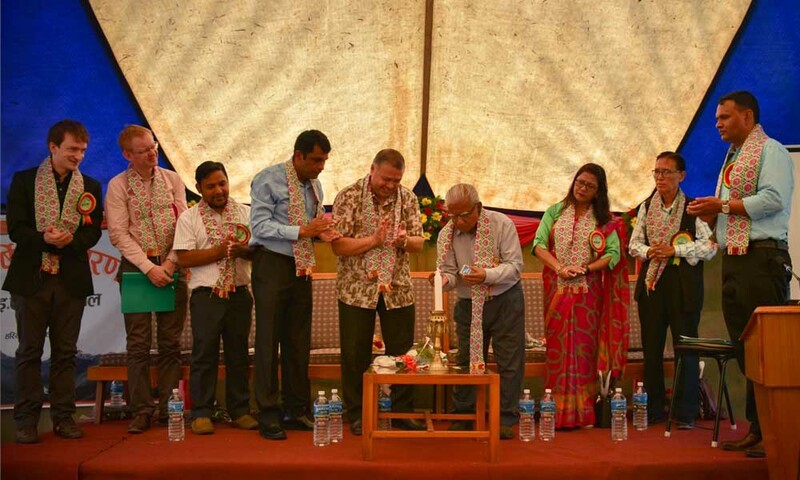 The guest of honour George John, who is a well-known pioneer in the field of education in Pokhara, inaugurated the AGM by lighting a candle in the traditional Nepali style. The AGM also welcomed 13 new general members from different parts of Nepal: Asha Gautam[Karki], Seeta Gurung, Sabina Tiwari, Pratima Basnet[Thapa], Binod Thapa, Mukti Nath Dhakal, Raj Kumar Rayamajhi, Ram Prasad Shrestha, Krishna Prasad Tripathy, Madhav Neupane, Sanjay Adhikari, Subash Malla and Yam Joshi. Board Chairperson RC Timothy led them in a short ceremony of commitment. INF Nepal’s Executive Committee’s Annual Report was presented by Dhan Maya Gurung, Board Secretary. Departmental directors presented their respective department’s Annual Report and Plan: Dr Buddhi Thapa [Community Development], Dr Dipak Maharjan [Green Pastures Hospital], Dhaka Ram BM [Shining Hospital Banke and Surkhet]. After this, Manju Thapa, Strategic and Finance Analyst, presented Finance Report, Budget and Audit Report. Special guests Chris Drew, Frank Beutell, Hariram Ghimire and Jyoti Ramdam also addressed the meeting. Guest of honour George John held the audience’s attention as he shared his personal experiences with the founders of INF during the late 40s on the border in India and the early days of INF in Nepal. The open part of the meeting was closed by RC Timothy which is then followed by lunch. The second part of the meeting, which was for members only, approved the Programme and Financial Report for the FY 2017-18 and Plan and Budget 2018-19. RC Timothy and Dr Arun Kumar Budha were re-elected to the board and Madhu Kumar Thapa was welcomed as a new board member. The final session of the day, a short board meeting, invited RC Timothy to continue as Board Chairperson.